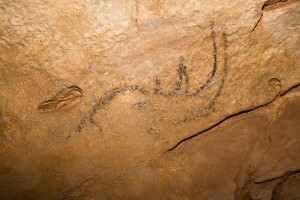 The oldest cave drawings in Central and Eastern Europe were found recently in Romania’s Coliboaia cave. Discovered by chance during a routine expedition in a very remote area in Apuseni National Park, the 13 drawings, which represent animals such as rhinos, buffalos, horses and cats, are approximately 32,000 years. The drawings are very well preserved, likely because the area the where the gallery is located is not subject to flooding. Immediately upon the discovery, Romanian experts contacted their French colleagues to study the paintings. This drawings in Coliboaia Cave are similar to the ones in France’s Chauvet Cave, considered the oldest in Europe. Experts believe that the entrance of the cave was once used for hunting related rituals.